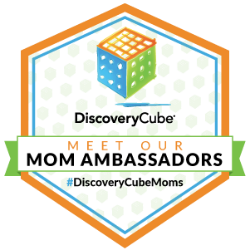 We attended as guests of Discovery Cube OC. 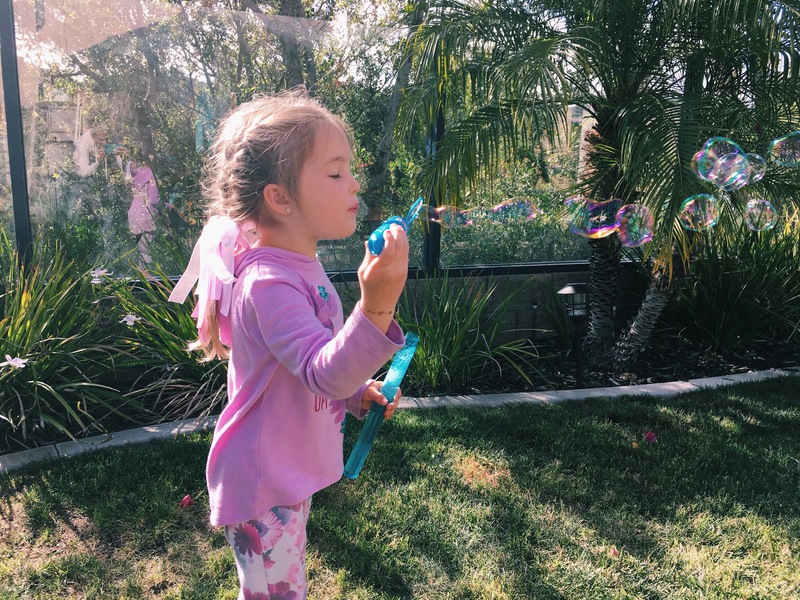 Bubblefest, Discovery Cube OC’s most popular event, has returned this Spring and is celebrating twenty years of squeaky clean magical fun! 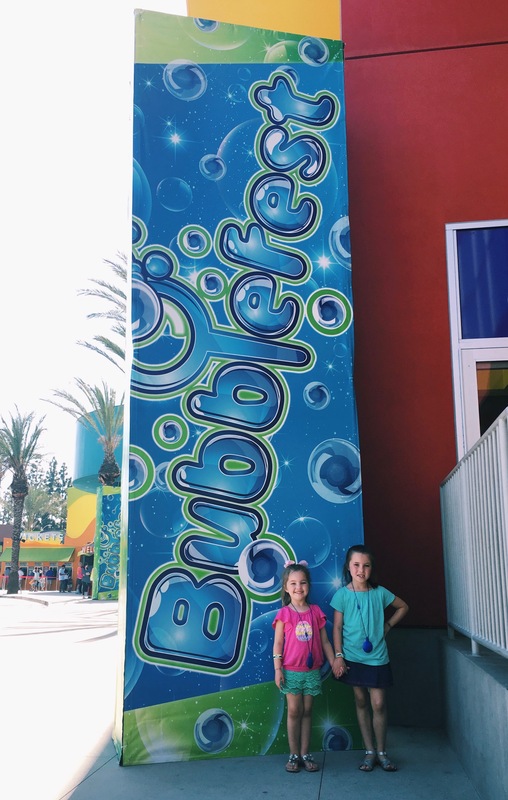 Bubblefest and the Mega Bubblefest Laser Show have captivated Orange County audiences young and old for two decades, and this year’s celebration is bigger and better than ever! 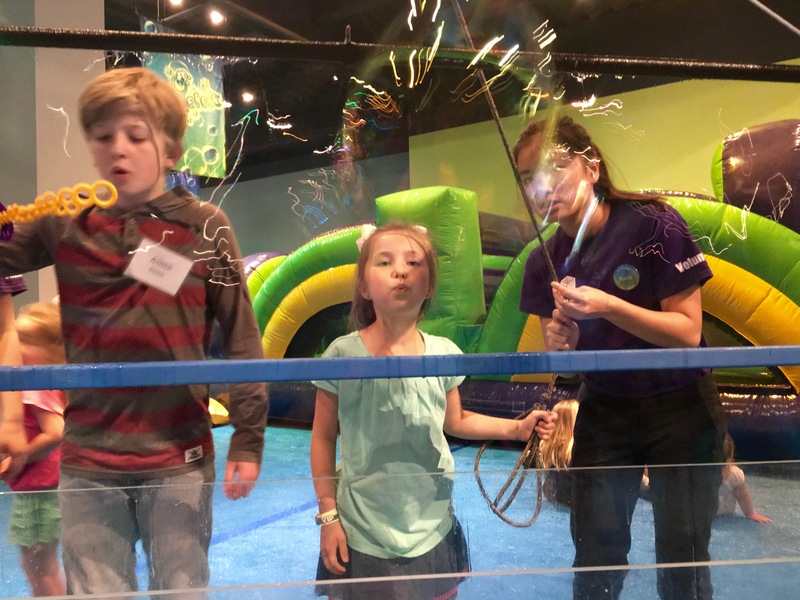 Bubblefest features hands on bubble play and exhibits, a bubble lab run by a bubble scientist, floating water spheres, inflatables, a photo op of “me in a bubble,” and a bubble and laser light show in the newly opened Julianne Argyros Showcase Theater. 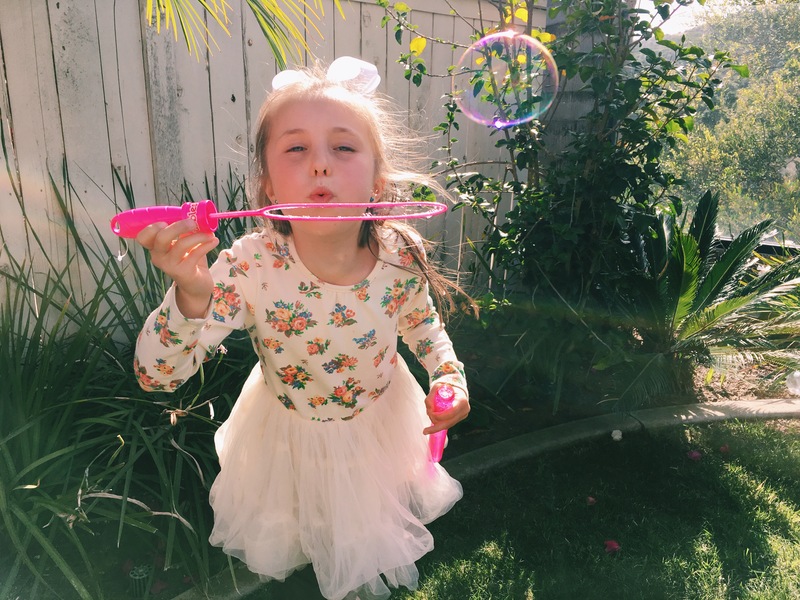 It’s difficult to say what our family’s favorite part of bubbefest was. 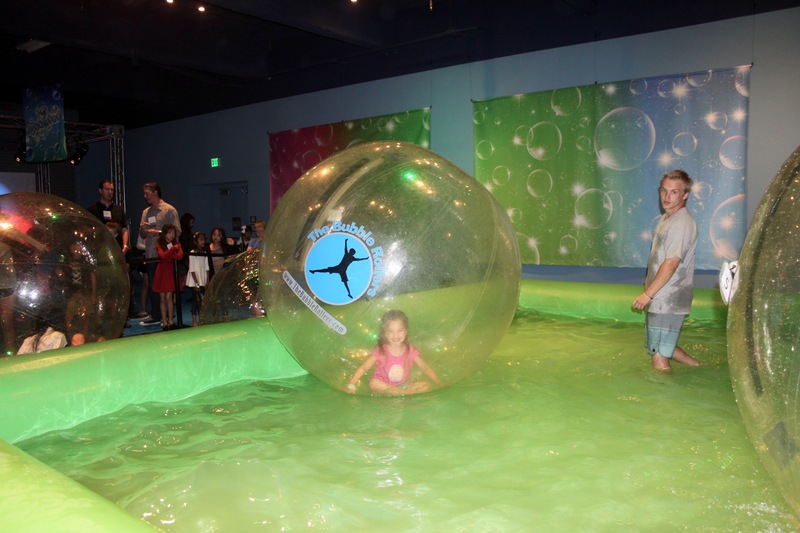 My girls, ages 6 and 3, loved the floating bubble spheres, in which they were blown up into a plastic bubble-like sphere and floated weightlessly across an indoor pool of water. 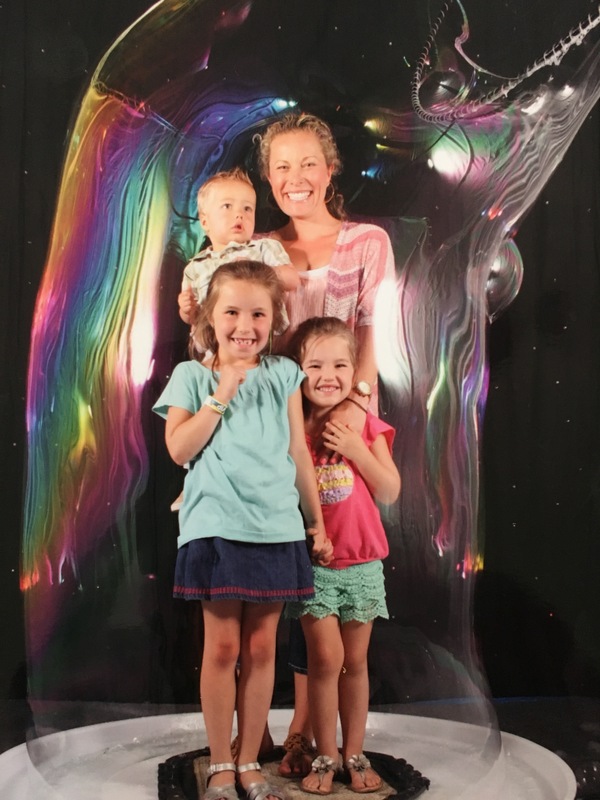 We also loved the keepsake picture of us in an actual bubble! 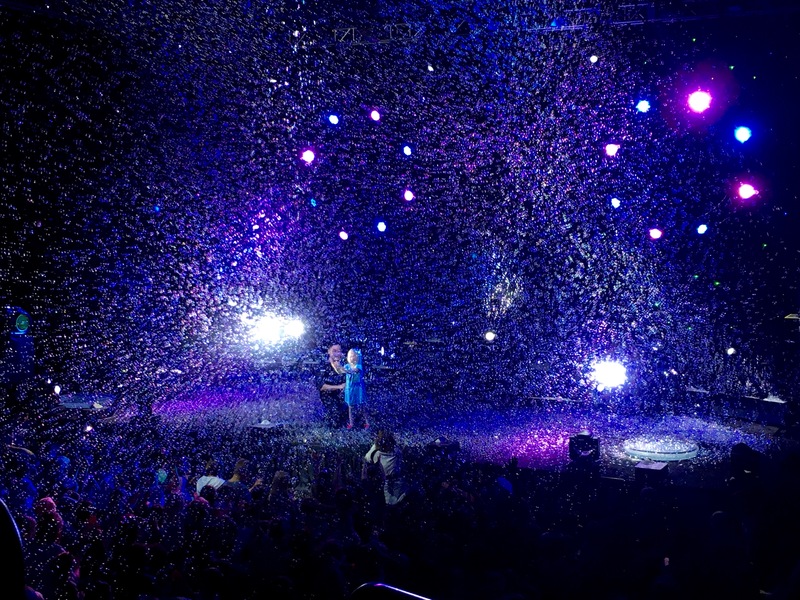 Needless to say, the Mega Bubblefest Laser show was a huge hit all around. 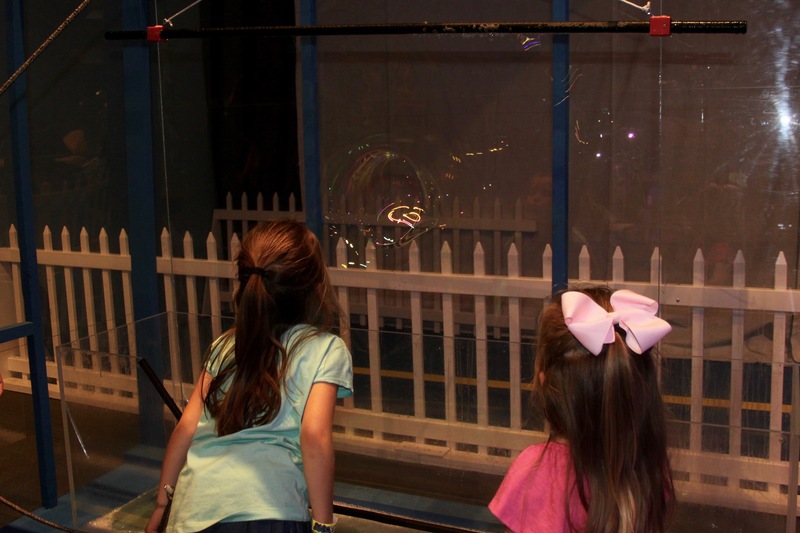 In the days that have followed Bubblefest, all three of my kiddos have had a renewed interest in bubbles. 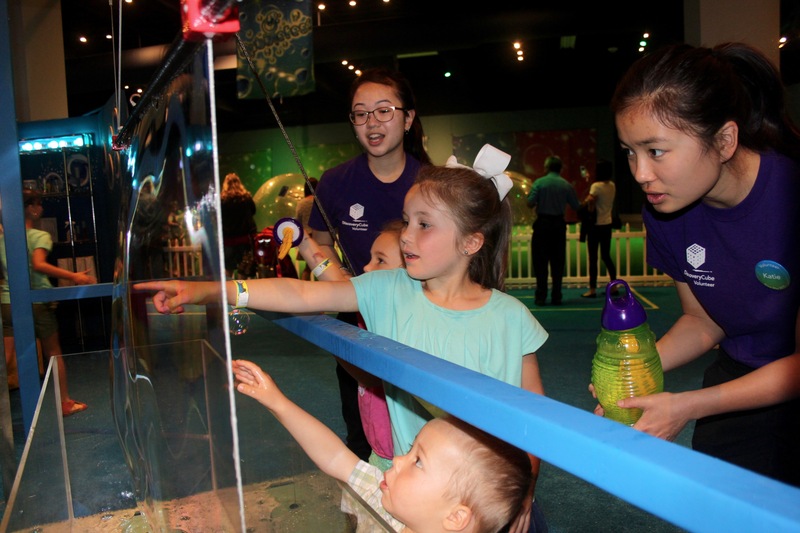 They are loving attempting to mimic the amazing stunts the bubble whisperer, Deni Yang, used on stage, and have employed some of his tricks such as misting the air with a spray bottle of water to increase the humidity so as to make the bubbles last longer. 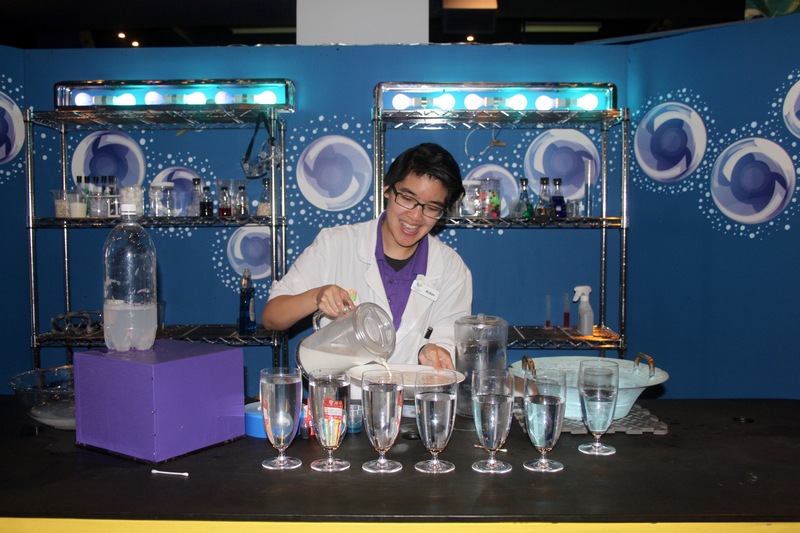 Science and fun truly did collide at Bubblefest! 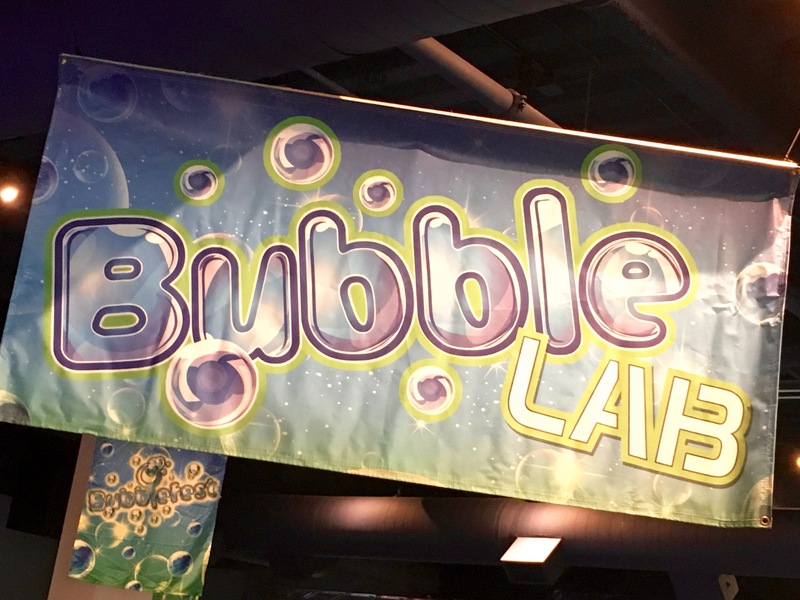 Bubblefest will be at the Discovery Cube OC from March 26 through April 10, 2016. Tickets are available at the door and online. 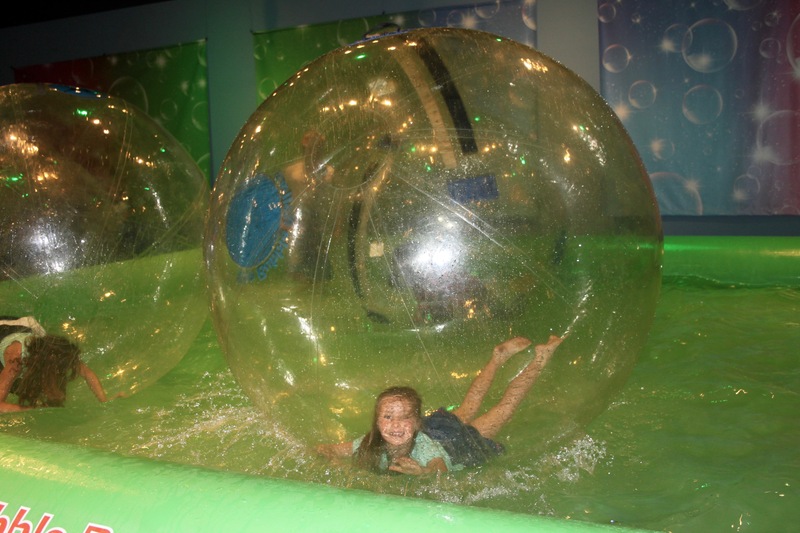 Discovery Cube OC is located at 2500 N Main Street in Santa Ana. 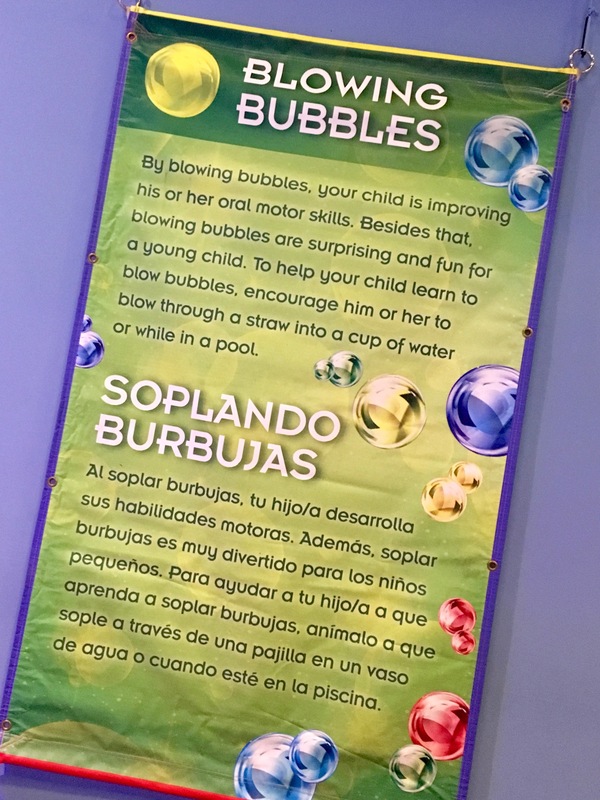 More information is available at Discovery Cube OC and on the Bubblefest FAQs page.